Copper and glass beads form the central Sun. creating a cascading bar graph in beads. Planets are enlarged for dramatic emphasis*. 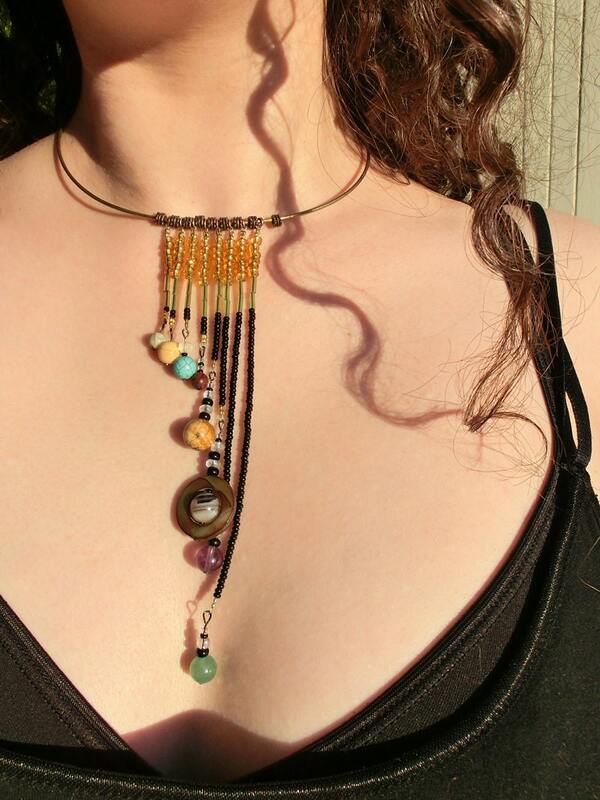 This necklace includes Mercury, Venus, Earth (& our Moon), Mars, Jupiter, Saturn, Uranus, and Neptune. 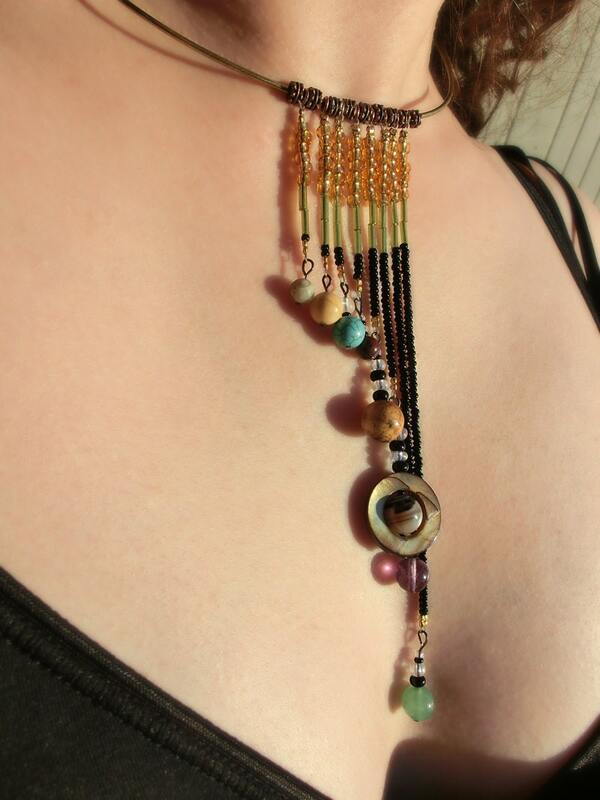 Planets with many moons are accented with opalescent glass beads. Very unique and pretty. I am very happy with it. I do like this item quite a bit but it took some light years to reach my galaxy and there was something of a dearth of communication from the seller in the meantime. Really nice piece! Thanks so much. Love it! Quality work. Perfect necklace for a science teacher! beautiful unusual -- a wonderful find.